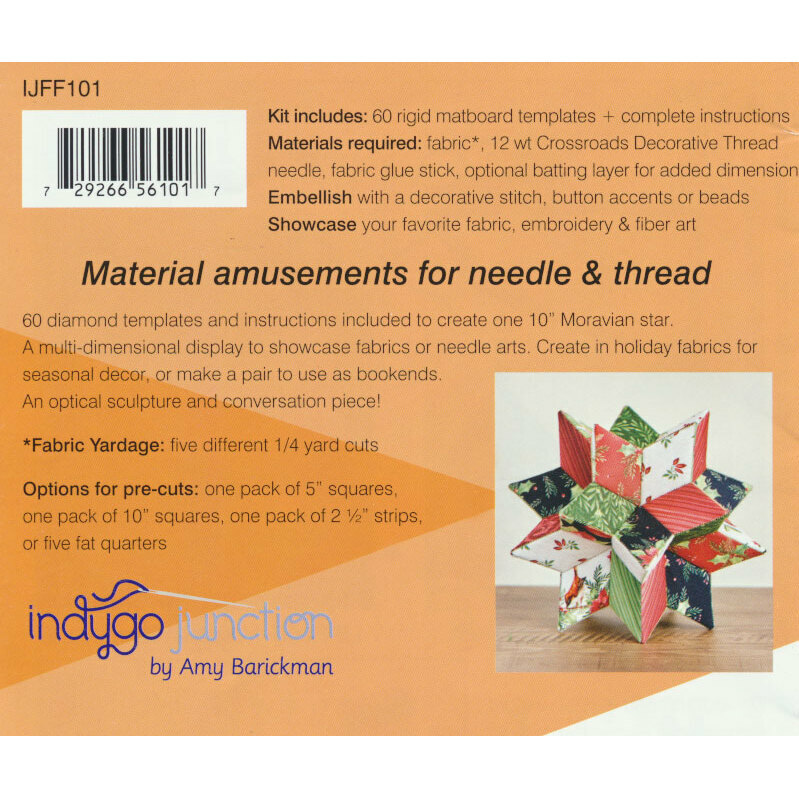 Create a multi-dimensional display to showcase novelty fabrics or needle arts. Use holiday fabrics for seasonal decor, or make a pair to use as bookends. An optical sculpture and conversation piece! 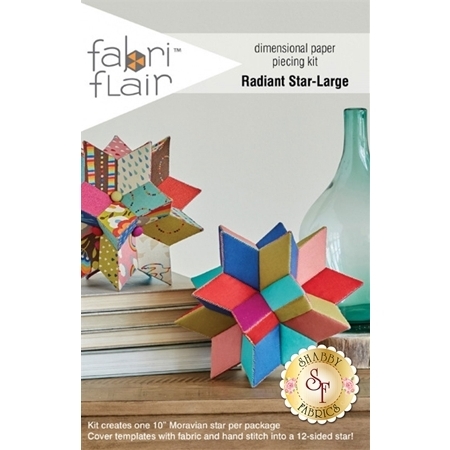 Pattern Kit includes: 60 diamond templates and instructions included to create one 10” Moravian star.